Welcome to GRATEFUL ACRES! We are a farm located in Hurdle Mills, North Carolina. Our farm is nestled between Hillsborough and Roxboro, North Carolina in southern Person County. 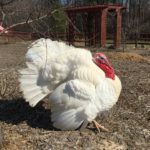 We are a diverse farm and have a little bit of everything including Pastured Berkshire Pigs, Cattle, Chickens, Guineas, Turkeys, and Fainting Goats! We also have a lovely orchard and pollinator garden. We believe in sustainable agriculture and knowing where your food comes from. We raise all of our animals as humanely as possible, and we do not use pesticides on our plants or trees. All of our animals roam the pastures and woodlots, bask in the sunshine, and breathe fresh air. We started this farm for ourselves so we knew exactly how our food was raised. 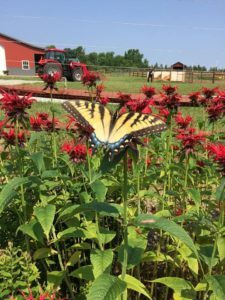 We maintain a garden, orchard, and pollinator garden at Grateful Acres! 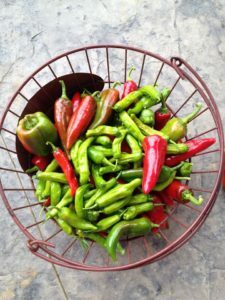 The garden consists of whatever is seasonally available. The orchard has blueberries, strawberries, and many different types of trees. Our pollinator garden is a true Pollinator Paradise full of many different kinds of butterflies and beneficial insects! 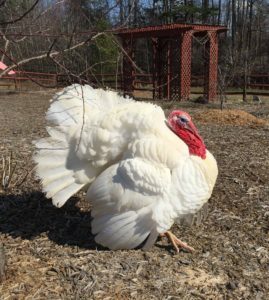 We have many different types of animals at Grateful Acres! We raise cows, fainting goats, turkeys, chickens, and guineas! We enjoy the dynamic and diversity that each animal brings to the farm! We believe in sustainable agriculture and raising our animals in the most natural way possible. 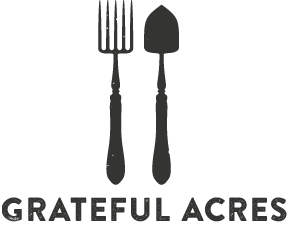 Want to know what's happening at Grateful Acres? 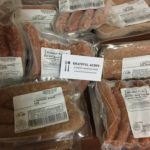 Check out our 'Farm Updates' page! This is where we post anything from the animals' latest antics to what's blooming in the orchard and pollinator garden that month! Check it out and come back often! 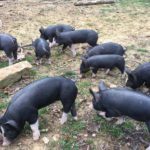 "We bought 1/2 Berkshire pig from Grateful Acres and couldn't be happier with the quality of the meat!" "This place is beautiful and they take GREAT care of their animals!!" "We've already discussed getting another pig from you guys again next year... He's been one of our best and easiest to raise so far. We could tell he was well cared for prior to us getting him." 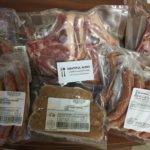 "I thought I would send you a quick note to let you know that I have sampled some of the pork I purchased from you a couple of weeks ago. It's wonderful! I'm very happy with my purchase and have recommended your farm to some friends. I'm so glad there are farmers around like you and your family."